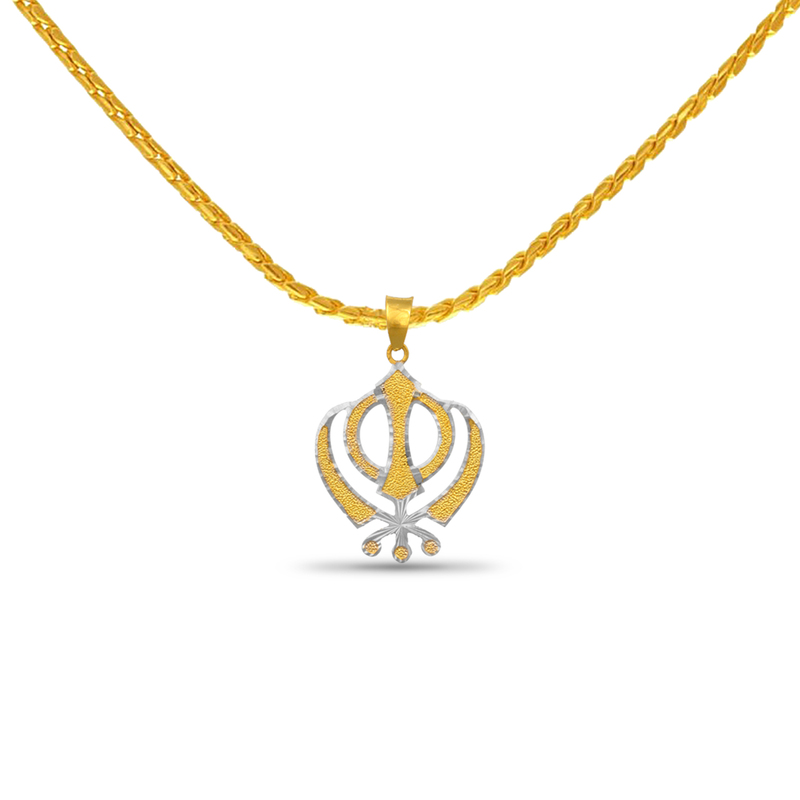 This 22KT pendant is in the shape of the Khanda symbol, which is a Sikh religious symbol. The swords represent cosmic energy and spiritual power while the circle represents utensils used to make food. This pendant has a white gold outline which is filled in with yellow gold and it weighs 5.23 gm.